Prime Minister Voreqe Bainimarama’s environmental leadership has earned him a top spot on Foreign Policy’s 10th Anniversary Global Thinkers List, alongside former US President Barack Obama, German Chancellor Angela Merkel and New Zealand Prime Minister Jacinda Ardern. The annual Foreign Policy list is determined by considering “the thinkers and doers who had a profound impact on the planet in the last 12 months. A government statement says Bainimarama was listed among this year’s top 100 Global Thinkers in the world, and a top ten thinker in the energy and climate space. In its description of PM Bainimarama, the publication attributes the ranking to his climate leadership both at home and abroad, highlighting both his accomplishments as COP23 President and Fiji’s forward-thinking regarding climate refugees among our Pacific neighbours. 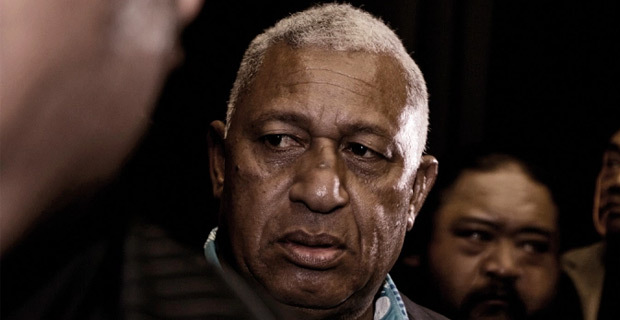 Foreign Policy says Bainimarama has established himself as a global advocate for environmental protection, in no small part because his country is on the front lines. Under his leadership, Fiji was the first country to ratify the Paris Agreement on climate change.